The Antarctic Population - Who lives in Antarctica? Antarctica does not have and has never had an indigenous population - there are no native human Antarcticans. Who are the natives of Antarctica? Antarctica does not and has never had an indigenous population (there are no native human Antarcticans). The continent was once a part of a larger land mass called Gondwana that settled over the south pole and split from Australasia and South America long before humans evolved. There haven't been any land bridges to Antarctica for around 35 million years, it has been an isolated island for all this time. Humans are thought to have evolved in East Africa very recently in geological terms (no more than 5 million years at most). We then left the ancestral homeland and moved across all of the continents of the world. Antarctica was already too isolated by distance, climate and the storminess of its seas for primitive peoples to discover. It wasn't until 1820 when human technology and navigation was sophisticated enough to allow anyone to sail far enough south to even see Antarctica for the first time. There are a number of poorly substantiated claims of setting foot upon the Antarctic mainland from 1820, though 1899 is the first date accepted by some historians as undisputable. When the first people did set foot on Antarctica there wasn't anyone already there. Antarctica is therefore one of the few places in the world that can truly be described as having been discovered, rather than there being people already living there who had known about it for hundreds or thousands of years before its "discovery". 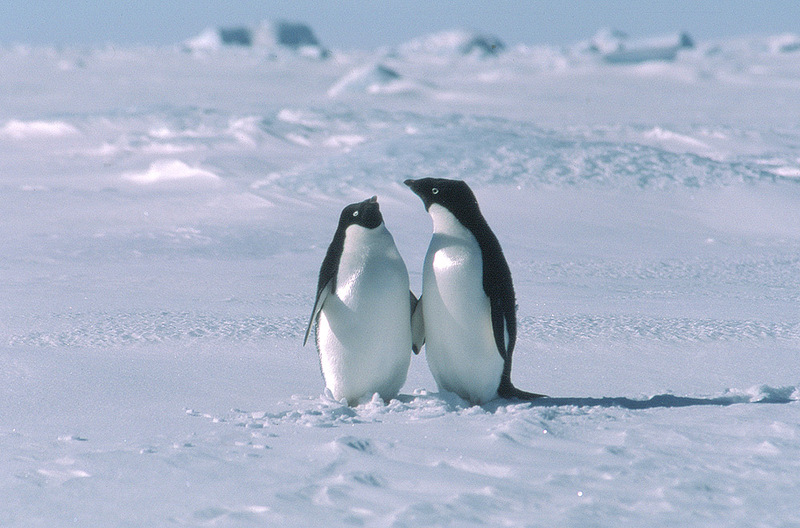 Who lives in Antarctica today? How many people live there? No-one lives in Antarctica indefinitely in the way that they do in the rest of the world. It has no commercial industries, no towns or cities, no permanent residents. The only "settlements" with longer term residents (who stay for some months or a year, maybe two) are scientific bases. These vary in size, but typically have 50 people there in the summer and 15-20 in the winter (Antarctica is never really talked about as having spring or autumn/fall), summer lasts from October/November to March/April, the rest of the year is considered to be winter. There are around 66 scientific bases in Antarctica, of which about 37 are occupied year round, the remainder are open during the summer and closed down for winter. There are about 4,000 people through the summer months and about 1,000 overwinter each year. Most residents of scientific stations do a "summer only" this is anywhere from 3-6 months, with a smaller number staying over the Antarctic winter (when any chance of transport in or out is virtually impossible). A typical tour is one summer or one winter and the two summers either side, around 15 months in total (this time is continuous with no visits home or elsewhere in the meantime). It used to be quite common for some to stay for two winters and three summers, though this is rare now. Some people have had an "enforced" winter, this is when ice conditions mean the ship that should have come to get them couldn't get through and had to go home without them until the following year. The result is a wait of another 6 months or more until a ship can get through again. This can mean three summers and three winters in a row or at least an extra Antarctic winter season that was not anticipated. Such events however were thankfully rare and did little for the mental state of the people involved, making fitting back into the world back home again more problematic. The US base at McMurdo Sound has up to 1,000 personnel at the peak time, this is the nearest there is to a town. With such a rapid turn-over of people, Antarctic bases are more like oil-rigs or military bases than towns. The figures for the 2016-17 season show that there were 44,202 visitors. A little down on the figure of 47,225 in the peak season so far in 2007-08, though rising again after falling to 26,509 in 2011-12. The drop was due to the fact that large ships are no longer allowed to visit Antarctica due to fuel spillage dangers. In terms of numbers, tourists greatly outnumber national programme personnel, though the personnel on scientific bases clock up more man-days. While tourists may only only spend a relatively small time ashore on landings (for the most part staying on their cruise ships), it is by its nature relatively "high-impact" time at the most picturesque and easily accessible areas, compare this to a scientist or support worker who spend most of their time working on a permanent or semi-permanent base. So can I go and live in Antarctica then? Not in the way that is usually meant by this. You can't move to Antarctica, find somewhere to live and then find a job, meet someone, get married, buy a house, have kids, send them to school, start your own business, become a member of the local golf club and become mayor. You can get a job in Antarctica as a scientist or in scientific support, but it has to be in advance before you go there. 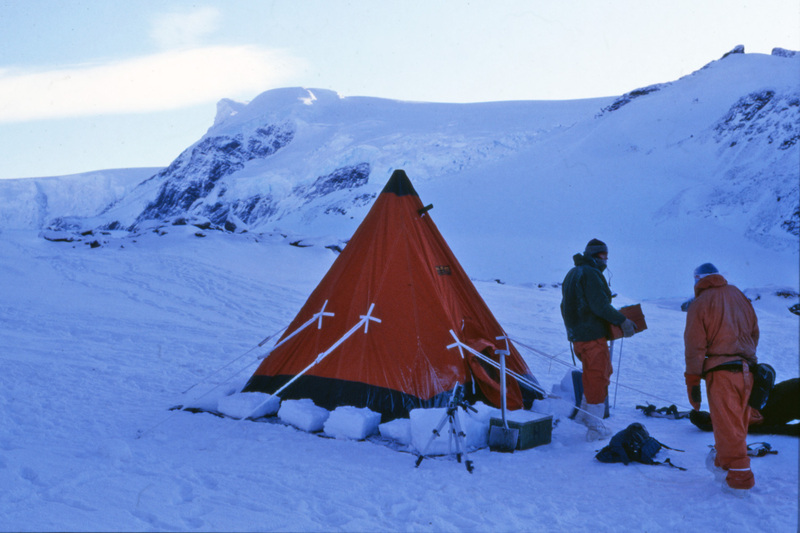 If you really want to and you have the required skills and you keep at it in case you don't get accepted first time (many people have to try more than once) then you can go and spend some time in Antarctica having an experience of your life. I recommend it, I did it for two winters and three summers and have been telling people about it ever since. Access to Antarctica is restricted by the Antarctic Treaty. If you want to organize your own trip or expedition there, you will have to request permission from the government of your own country. You will have to show that you will be completely self sufficient and have a very good reason for wanting to go which will have little or no environmental impact, you will have to show exactly how you will do this. If you can't do these things, you will be denied permission and will be breaking the law (of your own country) if you just go anyway, you will also be breaking the law if you stay longer than you said you would or otherwise do anything against the Antarctic Treaty. 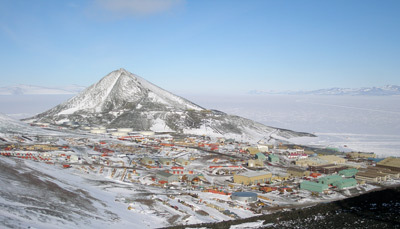 There are two places in Antarctica that are sometimes regarded as civilian "towns". The first is the Chilean Villa Las Estrellas base (just over 100 residents in the summer, around 80 in the winter) on King George Island, part of the South Shetlands group, off the western tip of the Antarctic Peninsula. 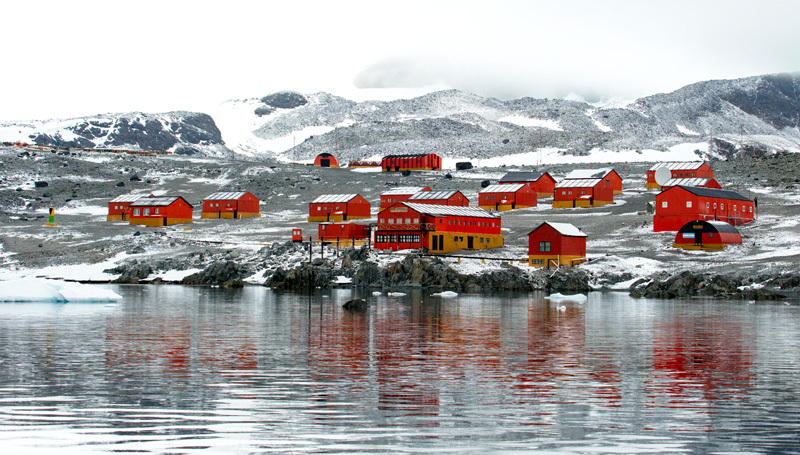 The second is the Argentinian Esperanza base (55 winter residents) in Hope Bay at the very tip of the Antarctic Peninsula. They both have facilities such as a school, medical facilities, gym etc. though are more accurately regarded as associations of the military and scientific operations. Another view is that they are both attempts by the respective country's governments to make claims of settlement of Antarctica as an insurance for the future should the terms of the Antarctic Treaty come up for significant renegotiation. Women in the later stages of pregnancy were sent to such places in the late 1970's and 1980's to give birth to "native Antarcticans" to support such claims. In recent years, the Chilean Villa Las Estrellas has become the site of tourist activity for "fly/sail" trips to Antarctica. Only a few years ago, the only way for tourists to reach Antarctica was by ship, now it is possible to fly to Antarctica across the Drake Passage so saving a couple of days sailing in each direction and potentially a lot of sea-sick time to join a cruise ship for the rest of the journey at King George Island. Though to my mind the traditional approach by ship which is then avoided is one of the most magical aspects of going to Antarctica. There are snowmobile and ski trips available from the "town" and of course the local wildlife as an attraction, these are served by a small 20 place hostel. Picture courtesy Andrew Shiva / Wikipedia under Creative Commons Attribution-Share Alike 4.0 International license.